Finger length re-defined: the 'finger length index'! For more than a century finger length (proportion) has been known to represent a manifestation of genetics & hormones combined. Unfortunately, the assessment of finger length (proportion) has not been defined very well. So far nearly all sources have defined finger length proportion relative to a single aspect of the palm: some sources use palm length, other sources use palm breadth (= hand width measured at the metacarpals). But interestingly, the argument for using only palm length or palm breadth is missing: it appears that choices in the past were made on just arbitrary preferences. 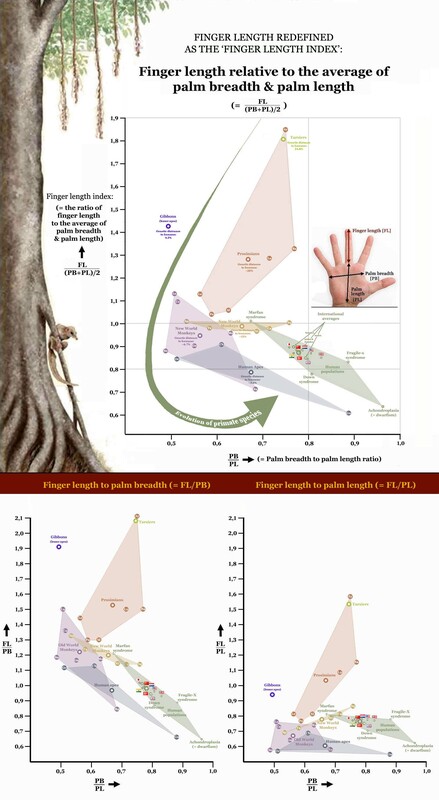 finger length relative to the average of (both) palm length and palm width together! The picture below (click HERE for a larger version) describes how the 'combined' approach produces different results compared to the approach based on palm breadth (= FL/PB) and palm length (= FL/PL); the picture e.g. 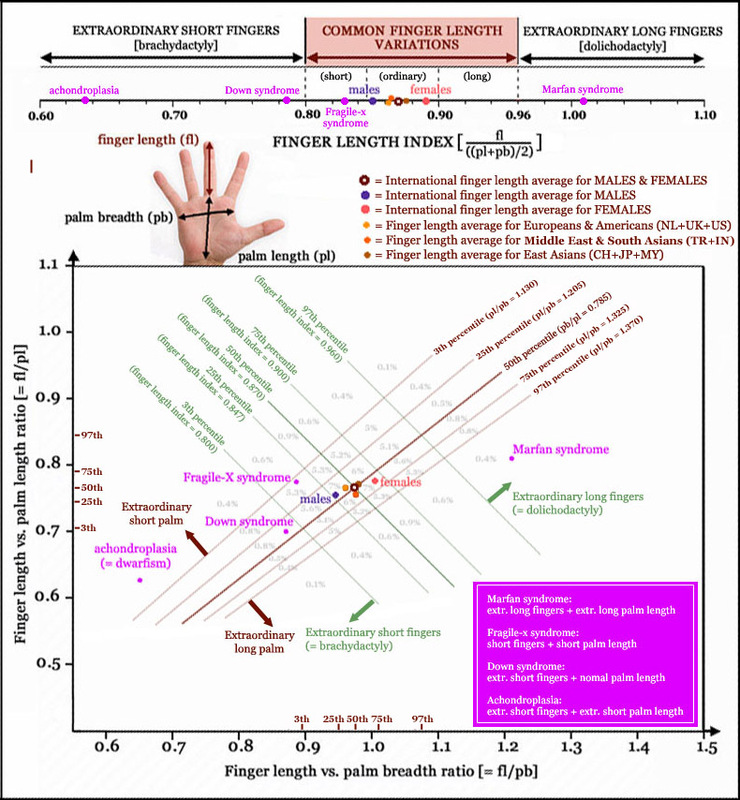 describes how finger length varies between various international populations, the sexes, and the major primate families + species. NOTICE: The horizontal axis represents the ratio of palm breadth versus palm length (= PB/PL); the horizontal & vertical axes together represent a measure for... hand shape! Re: Finger length re-defined: the 'finger length index'!